A five-alarm fire tore through an Andrew Street home. Photo courtesy of Ritch Kelly. 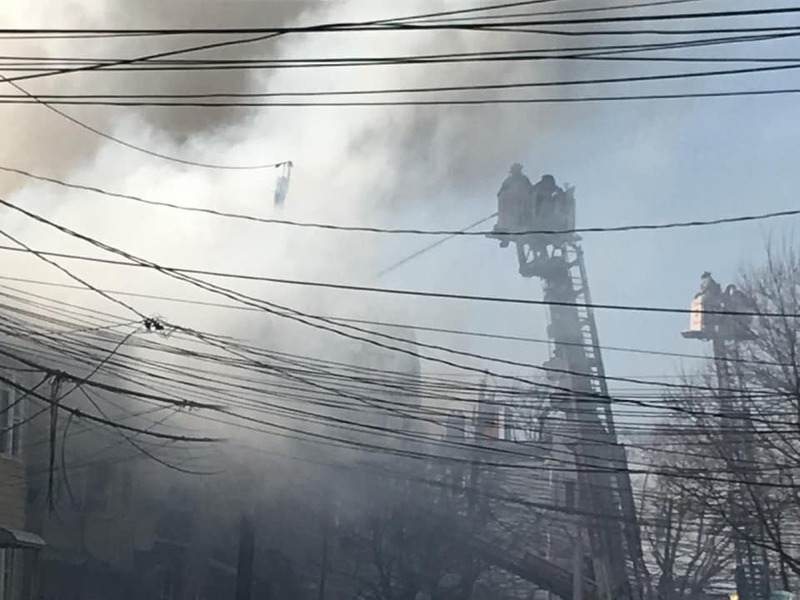 Plumes of smoke were seen from across the city on Saturday afternoon as numerous regional fire departments responded to a five-alarm fire at an apartment building on 84 Andrew Street at noon, according Bayonne Police Department Lieutenant Eric Amato. No injuries have been reported and neighboring homes have been evacuated. According to neighbors’ social media posts, the structure fire appears to have affected a blue, three-story, single-family home and an adjacent multifamily home in midtown between Kennedy Boulevard and Avenue C. The cause of the fire is not yet known.